On behalf of the Wills family at MEI we wish you all a Happy Christmas and best wishes for 2011. Thanks to all of you who have sent greetings by card, email, Facebook and LinkedIn. We appreciate your kind thoughts. One of the themes of May’s SRCR ’11 conference is “Developments in geopolymers as alternatives to conventional cements”. Geopolymer is a term covering a class of synthetic aluminosilicate materials with potential use in a number of areas, essentially as a replacement for Portland cement and for advanced high-tech composites, ceramic applications or as a form of cast stone. Minerals Engineering has published a number of papers on geopolymerisation over the years, and, far from being a mundane subject, it is a field of great scientific potential, with some fascinating implications, which bring together two of my interests, science and history. 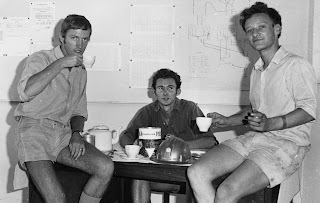 I am fairly sure that the first paper on this topic published in Minerals Engineering was co-authored by my two old friends Jannie van Deventer and Leon Lorenzen, who were then at the University of Stellenbosch, but are now pursuing successful careers in Australia. The paper, by Jannie, Leon and J.G.S. Van Jaarveld, entitled “The potential use of geopolymeric materials to immobilise toxic metals: Part I. Theory and applications” is an excellent review of the science of geolpolymeric materials, but what hit me between the eyes when I read it all those years ago was a couple of paragraphs describing the ideas of Davidovits, who postulated that the pyramids of Egypt were not built by the means previously thought, but were cast in place and allowed to set, creating an artificial zeolite rock. His ideas were published in a book (The Pyramids; An Enigma Solved, Hippocrene Books, Inc, New York, 1988). Unfortunately I did not follow this up, as at the time I thought it was just another crackpot idea, such as von Daniken’s 1968 book Chariot of the Gods, which proposed that the pyramids were built by aliens, or the later, and more believable, Fingerprints of the Gods by Graham Hancock, which proposed the building by a long-gone ancient civilisation, but which was also deeply flawed, being based on very selective “research”. I was then unaware that Joseph Davidovits was a respected materials scientist, who first applied the name geopolymer to these materials in the 1970s. 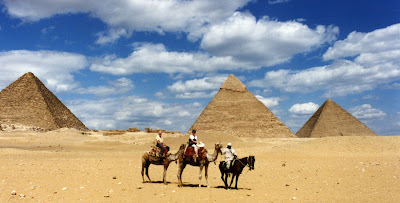 Having visited the pyramids at Giza a couple of times, I am fascinated by not only their sheer size but also the precision in construction, by what was essentially a civilisation only just emerging from the stone age. There have been many hypotheses about the construction techniques, which seem to have developed over time, later pyramids not being built in the same way as earlier ones. Most of the construction hypotheses are based on the idea that huge stones were carved with copper chisels from stone quarries, and these blocks were then dragged and lifted into position. Disagreements chiefly concern the methods used to move and place the stones. Davidovits claimed that the blocks of the pyramid are not carved stone, but mostly a form of limestone concrete and that they were "cast", as with modern concrete. According to this hypothesis, soft limestone with a high kaolinite content was quarried in the wadi on the south of the Giza Plateau. The limestone was then dissolved in large, Nile-fed pools until it became a watery slurry. Lime (found in the ash of cooking fires) and natron (also used by the Egyptians in mummification) was mixed in. The pools were then left to evaporate, leaving behind a moist, clay-like mixture. This wet "concrete" would be carried to the construction site where it would be packed into reusable wooden moulds and in a few days would undergo a chemical reaction similar to the "setting" of concrete. New blocks, he suggests, could be cast in place, on top of and pressed against the old blocks. In 1979, at the second International Congress of Egyptologists, Grenoble, France, Davidovits suggested that the pyramid blocks were cast as concrete, instead of carved. Such a theory was greatly disruptive to the orthodox theory and his research was fiercely opposed by some experts (geologists and Egyptologists). My interest in this has been reawakened by a fairly recent peer-reviewed paper being drawn to my attention (M. W. Barsoum, A. Ganguly, G. Hug (2006). Microstructural Evidence of Reconstituted Limestone Blocks in the Great Pyramids of Egypt. Journal of the American Ceramic Society 89 (12), 3788–3796). The findings of Michel Barsoum and his colleagues at Drexel University, USA support Davidovits' hypothesis. They claim to have found particles and air cavities in pyramid limestone that do not occur in natural limestone. After extensive scanning electron microscope observations and other testing, they finally began to draw some conclusions about the pyramids. They found that the tiniest structures within the inner and outer casing stones were indeed consistent with a reconstituted limestone. The cement binding the limestone aggregate was either silicon dioxide or a calcium and magnesium-rich silicate mineral. The stones also had a high water content, which is unusual for the normally dry, natural limestone found on the Giza plateau, and the cementing phases, in both the inner and outer casing stones, were amorphous, their atoms not being arranged in a regular and periodic array. Sedimentary rocks such as limestone are seldom, if ever, amorphous. To counter this, Dipayan Jana, a petrographer, made a presentation to the ICMA (International Cement Microscopy Association) in 2007 and gave a paper in which he discusses Davidovits' and Barsoum's work and concludes "we are far from accepting even as a remote possibility of a “manmade” origin of pyramid stones." So there is still much controversy, but what a fascinating subject this is. I would like to know what other researchers in the field of geopolymerisation have to add to this, and hopefully talking to a few of them at the conference in May. Gaynor Yorath's photos of the CSM student pilot plant run (4th December) has reminded me of the many illustrious visitors that I had the privilege of showing round this wonderful facility. Unfortunately only a few photos were taken, and these are shown below. 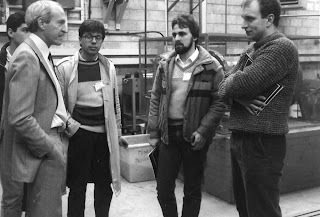 I would love to hear from anyone who has memories of their visit to CSM, particularly if photos are available. Could the Hungarian red mud disaster have been prevented? Beautiful Falmouth is the venue for next year's Computational Modelling '11 and Physical Separation '11 conferences, running back to back in June. Those wishing to present papers should submit short abstracts no later than the end of this month. As with all MEI Conferences, papers will be considered for special issues of Minerals Engineering. Computational Modelling '11 is sponsored by the UK company DEM Solutions. The previous two Computational Modelling conferences were held in Cape Town, and the previous Physical Separation conference was in Falmouth in 2009. Today was the Camborne School of Mines (CSM) Association Christmas lunch in Redruth, attended by many old boys and staff. Sadly there were only 3 mineral processors present, myself, my old colleague Jim Turner, and 1980 old boy Nick Wilshaw, now an independent consultant. 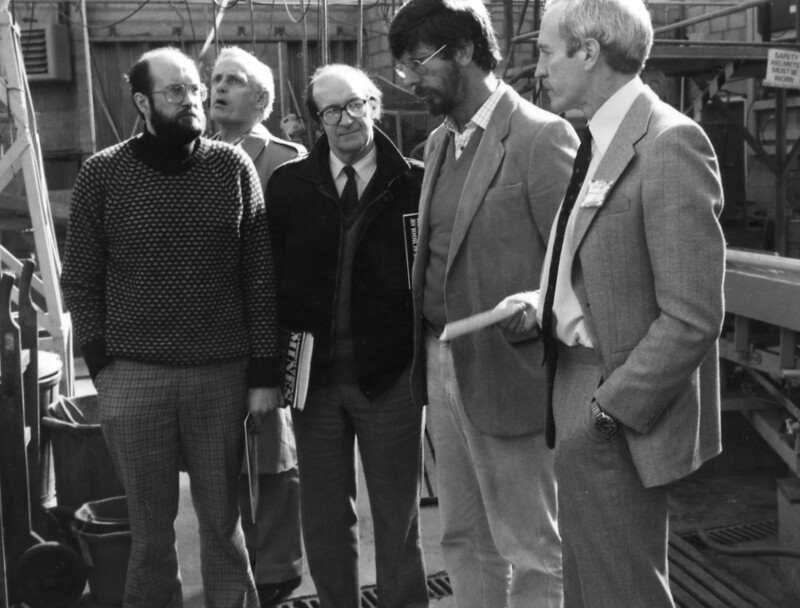 We naturally talked about old times, and in particular the unique student 'pilot plant run', which Jim and I initiated in 1979. Nick was in the first group of students who spent a week on shifts operating the plant, treating ore from the nearby South Crofty tin mine, under conditions simulating real mine continuous conditions. Unfortunately this was just one of the good things which was lost when CSM was assimilated into Exeter University in the mid 1990s. Coincidentally, little over a week ago I had coffee at the Mount Nelson Hotel in Cape Town with Gaynor Yorath, a senior researcher at the University of Cape Town. 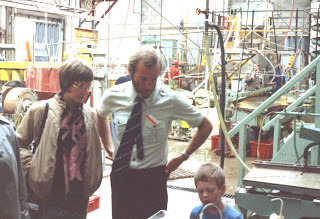 Gaynor graduated from CSM in 1985, and she brought photographs to show me of her time at Camborne, and in particular of the valuable week that she had spent on the pilot plant operation. 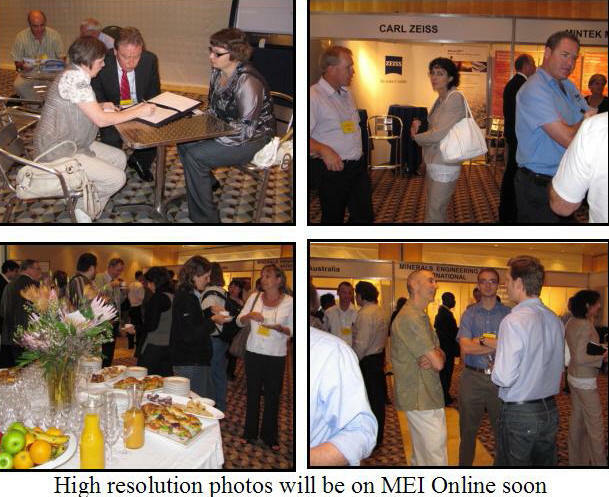 Among the young faces in the photos, some may be familiar to attendees at recent MEI conferences and IMPCs. 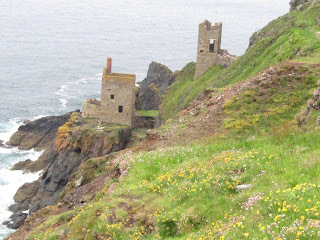 I was very pleased this week when my old friend and colleague Richard Williams agreed to present a keynote lecture at next May's Sustainability through Resource Conservation & Recycling '11 conference in Falmouth, sponsored by Outotec. Richard is Professor of Mineral and Process Engineering at the University of Leeds. 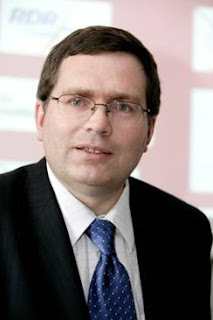 He is also currently Pro-Vice-Chancellor for International Partnerships. 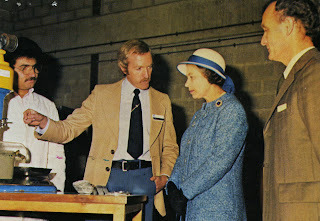 He was formerly a Senior Lecturer in Chemical Engineering at UMIST, Manchester (as was) and The Royal Academy of Engineering Professor at the University of Exeter (Camborne School of Mines). He has been at the University of Leeds since January 1999 and is a founder of the Institute of Particle Science and Engineering (IPSE) – with some 130 researchers working on measurement, modelling and manufacture of particles and colloidal products. His research interests are in particle separation, colloid aggregation and precision emulsification and he has worked on the development and specification of tomographic techniques since 1988. Apart from being a superb speaker, the title of his keynote: Rethinking Separation Methods and Sustainable Uses of Fine Minerals is one to wet the appetite. A very fine international programme is developing, and will be published next month. Richard joins two other distinguished keynote speakers, Prof. Jan Cilliers of Imperial College, UK, and Dr. Terry Norgate, of Australia's CSIRO. Anyone wishing to present a paper should submit an abstract as soon as possible. Why is a good conference paper not necessarily a good journal paper? 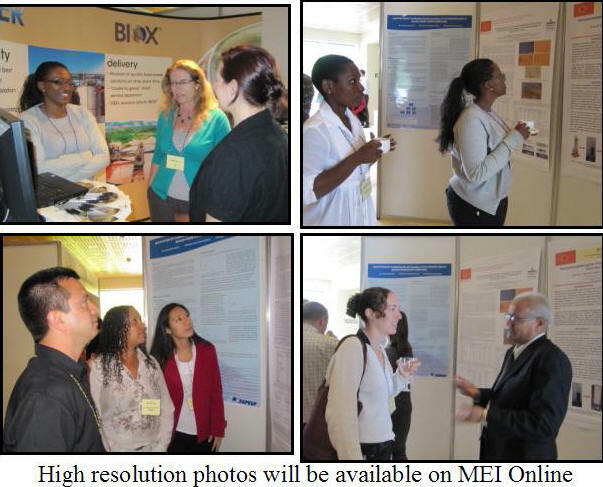 Photos are now available for download from Biohydromet '10 and Process Mineralogy '10. The next Biohydromet conference will be held in Falmouth, UK, in June 2012, and Process Mineralogy in Cape Town again in November 2012. Full details will be announced in the conferences section of MEI Online. Only 2 days ago we were sweltering in 35C heat in Franschhoek. Yesterday we returned to a -4C London, and this morning Cornwall is in the teeth of a blizzard, which has disrupted rail and road travel. Kathryn cannot get back to Imperial College, and Amanda is stuck in her isolated village of Mabe. Apologies to the Cape Town delegates- Amanda was due to put photos of the conferences on MEI Online today, but that will unfortunately have to wait until she can return to work. Once that is done, I will contact all delegates with various things. In the meantime, thanks to those who have responded with favourable comments on the conferences. We really do appreciate your feedback. Relaxing with a glass of pinotage, on the stoep overlooking Noordhoek Beach, and reflecting on the past 3 weeks, I have been thinking of how Southern Africa has changed beyond recognition since Barbara and I first set foot here in September 1969, after a two week voyage from Southampton on board the RMS Windsor Castle, the flagship of the Union Castle Line. The Cape Town that greeted us was cold, grey and unfriendly. Everywhere were taxis displaying signs ‘whites only’; park benches, beaches, all with the same ubiquitous sign. The local people, mainly coloured, were (not surprisingly) sullen and an air of hostility was all pervasive. We were eager to leave as soon as possible, but had to spend a night in a small hotel by the docks (now the sophisticated and vibrant Waterfront area). Once our car had been unloaded, and cleared customs, we set off on the Great North Road (now the N1), the start of our 3700km journey to Chingola on the Zambian Copperbelt. Initially it was slow going. The weather was still dull and wet as we crossed the Klein Drakenstein mountains near Paarl, but as we descended to the Karoo via Du Toitskloof Pass, the skies cleared, and it was sunshine all the way. We were following friends that we had made on the boat, Cath and Nels Jackson, in their white BMW, and although the distances were vast, we ate up the miles, as the roads were long and straight, and virtually empty, in sharp contrast to today’s N1 traffic. After an overnight stop in the diamond town of Kimberley, we made for Johannesburg, where we spent a weekend at the home of Nels’s parents. Cape Town had been oppressive, but Johannesburg was even more foreboding. Owing its existence to the gold mining industry, it is the Transvaal’s major commercial city, in the heart of Afrikanerdom. As in Cape Town, ‘whites only’ signs were in profusion, and one evening, after leaving the whites-only cinema, we heard the curfew siren, warning the black population, mainly Zulu, that they must no longer be seen on the streets. Nels’s parents were regular church attendees and it was implicit that we should accompany them to church on the Sunday morning. The service in the Dutch Reform Church was entirely in Afrikaans, and after the service we were introduced to the predikant (pastor) who advised us in all seriousness not to venture near Zambia, as it was populated by black people who were all ‘heathens’. We must stay in South Africa, which he explained was ‘God’s country’. Here was our first introduction to the old Boer mentality, exhibited in this modern Afrikaner, a direct descendant of the original white settlers. This bigoted predikant in the 1969 Transvaal provided living evidence that the old Boer attitudes had survived into the mid-20th Century. They were the basis for the apartheid system and it was evident that this archaic, racist country was on an inexorable path to self-destruction - we knew virtually nothing of Nelson Mandela and the miracle that would occur little more than 20 years later! It was therefore with a great sense of relief that we joined the Great North Road again for the 485 km journey to the Rhodesian border. As we progressed northwards the scenery began to change and, after crossing the Tropic of Capricorn, became typically African, with dense thorn-bush, mud-hut villages and the strange ‘upside-down’ baobab trees. We crossed the Limpopo River, entering Rhodesia at Beitbridge, and stopped overnight at a small hotel in Gwanda. It was evident that we were in a very special country, of outstanding natural beauty. The roads were immaculate, hotels and restaurants of a very high standard and the local people were friendly and accommodating. 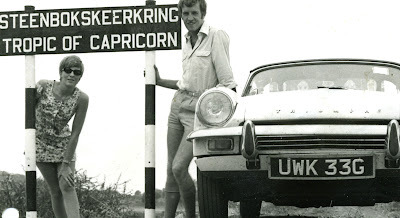 Rhodesia, like South Africa, was also under white minority rule, Ian Smith’s Government having declared unilateral independence from Britain four years earlier, but there was no obvious evidence of the aggressive racism that we had encountered south of the Limpopo. There was a pervading air of optimism and confidence in the future of this small country, which had everything to sustain it, agriculture, minerals and enormous potential for tourism. Who could have envisaged that South Africa, the sad country that we had just left, would enjoy peaceful transition to majority black rule under Nelson Mandela, whereas Rhodesia would be plunged into a bloody civil war, leading to the horrors of Robert Mugabe’s Zimbabwe? From Gwanda we passed through the heart of Matabeleland and the anachronistic town of Bulawayo, with its 1950s cars, and roads, wide enough to turn a full span of 16 oxen, lined with jacaranda and bougainvillea. Then on to Victoria Falls along the straight 450km road through unchanging dense bush. At last we came to the mighty Zambesi river and crossed the Victoria Falls Bridge with the roar of the falls (Mosi-oa-Tunya, ‘the smoke that thunders’) in our ears. 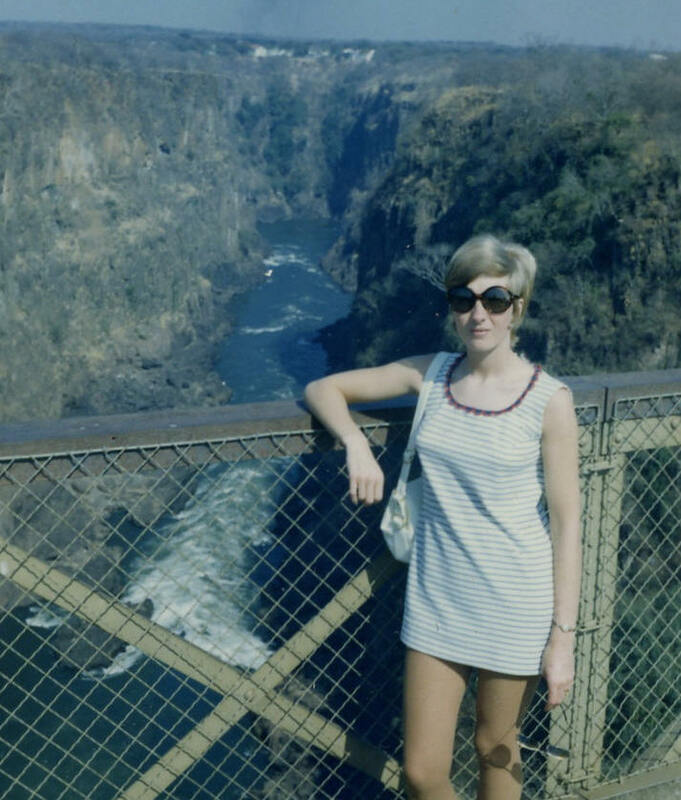 Three weeks after leaving Southampton we were now in Zambia and we spent a pleasant day in Livingstone, walking down to the ‘Boiling Pot’ to view the magnificent spectacle, for the first of what would be many visits to this wonder of the world. We still had 900km ahead of us, and the drive through Zambia turned out to be the most arduous. For the first time we encountered Zambian strip-roads. These are basically dirt roads with a narrow central strip of asphalt, wide enough for only one vehicle, and often heavily pot-holed. Whenever another vehicle approached, each would drive onto the dirt section, raising huge clouds of dust. Tired and dusty, we eventually arrived at the Anglo American guest house in Kitwe, and the following day drove the remaining 50km to the mine offices in Chingola. Here we were met by a friendly personnel officer, who directed us to our new home, which lived up to the earlier promise of the recruitment film that we had been shown in London. A large bungalow, it was set within what was to us a Garden of Eden. Little over a month ago we had left our small council flat in Manchester, and now we had a large garden filled with all kinds of exotic fruit- mango, pawpaw, lemon, pomegranate, avocado, banana. Things were looking good! I had been assigned to work on the Concentrator (whatever that was) and next day nervously found my way to the metallurgical offices, trying to comprehend the sheer scale of the mine complex, the size of a small town. 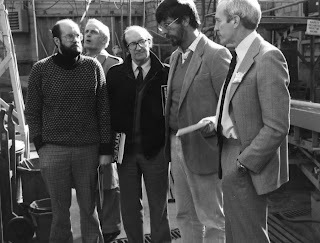 ﻿ My fellow metallurgists, Vic Bryant, Tony Watts, Mick Boylett and Dave Spencer seemed a very friendly bunch and were making me welcome, when suddenly there was a hush, and a giant figure framed the doorway. This was Paul Piercy, the concentrator superintendent, who introduced himself and then asked, in a broad Australian accent “Is that your white sports car outside?” I replied that it was, thinking how nice of him to ask, and remembering the smiling superintendent in the London film. “Well move the f*****g thing, you are in my space!” My career in the minerals industry had begun! It would be great if anyone has news of any of these people. Paul Piercy, who is now in Australia, I ended up getting on very well with, and he is now one of my LinkedIn contacts. Vic Bryant is in Canada and we keep in touch. Mick Boylett I believe retired in South Africa. Dave Spencer I met briefly at one of the Cape Town Indaba conferences a few years ago, but I have no idea of the whereabouts of Tony Watts. It's hard to believe, but South African schools have been told not to teach evolution, as it is too complex a subject to teach, and too difficult for students to understand! Naturally this has caused much debate and daily correspondence in the Cape Times. The majority of correspondents support the teaching of evolution, but there are some, including the usual Creationist crackpots, who do not. One correspondent today states that evolution is not a fact, it is a theory, even though it is believed by many. He goes on to state that evolution is not critical to everyday life, and that no major scientific breakthrough owes a debt of gratitude to evolution. Modern biotechnology is just one example of how Darwinism has been applied to achieve major scientific advances. 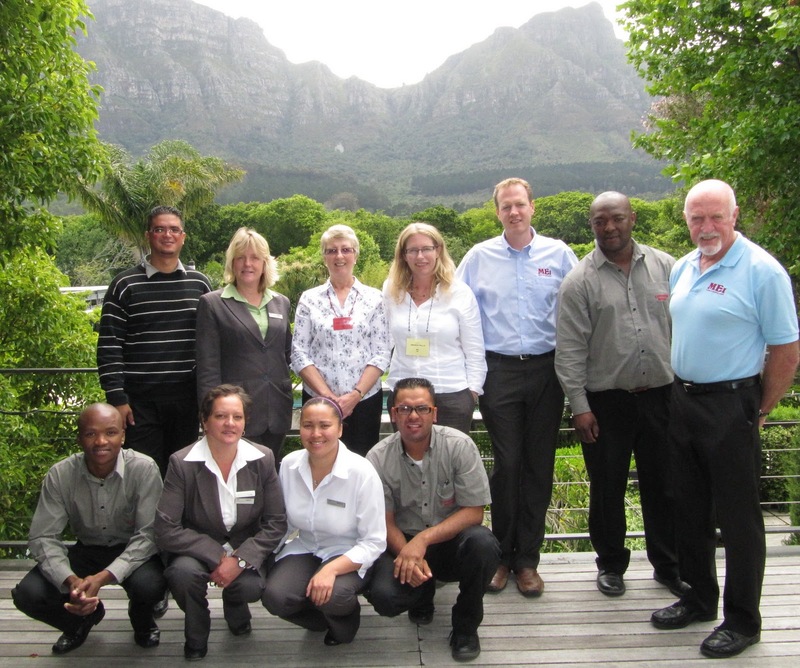 Only two weeks ago, biohydrometallurgists from around the world came together in Cape Town to discuss the latest developments in what is now an accepted and highly applied mineral processing technique, thanks to evolutionary science. Someone correct me if I am wrong, as I am not a biotechnologist, but wasn't the Fairview Gold Mine in South Africa one of the first to commercially utilize bioleaching in the 1970s? I seem to remember that it was not initially a commercial success, as the bacteria, then known as thiobacillus ferrooxidans, were unable to survive above ambient temperatures, low acid concentrations, and low slurry densities, so the leaching rate was very slow. Only by applying Darwinistic principles was the modern strain acidithiobacillus ferrooxidans developed, resistant to high temperatures and low pH, enabling successful utilization in gold, uranium and base metal operations. 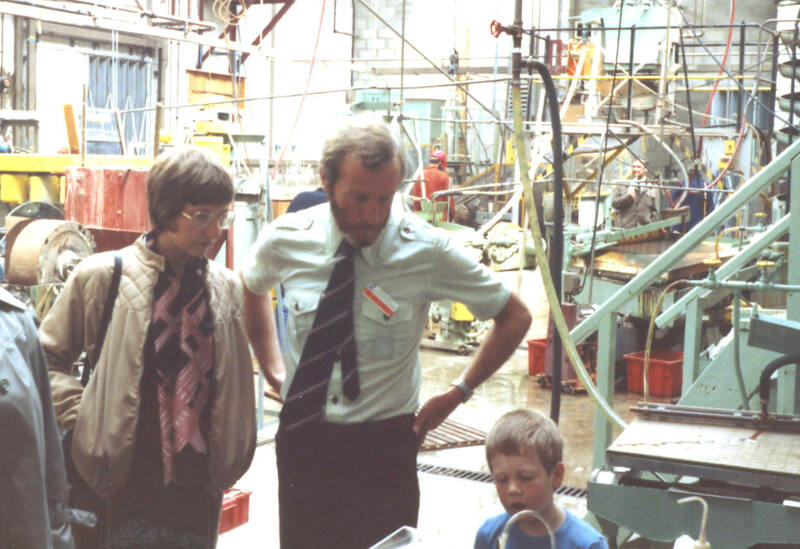 The history of this development is of great interest, so I would welcome comments from anyone who was involved in the development of modern biohydrometallurgy. The weather in Cape Town today has been atrocious, but a short window in the rain allowed me to braai (BBQ) tonight for our guests from the University of Cape Town, including 3 MEI Consultants, Prof. Sue Harrison (Biohydromet), Prof. J.-P. Franzidis (Flotation) and Dr.Megan Becker (Process Mineralogy). Also present were Richard Beck and his wife Angela,who live a short distance from our timeshare cottage in Noordhoek. I have known Richard, who is with AMIRA,since 1993, and knew that he was once President of the SAIMM, and editor of the SAIMM Journal, but I only found out tonight that he arrived in Africa in 1969, the same year as Barbara and me, and that, among his many talents, he was once ranked number 3 in UK as a 400 metres athlete. Only a week ago Jon and I, in our opening addresses at the three MEI Conferences, assured delegates that Cape Town was one of the safest cities, providing that common sense rules were obeyed. So it is sadly ironic that, only a few day later, the British press have descended on Cape Town, in the wake of the tragic murder of a British tourist. This will no doubt lead to the usual frenzy of reporting on how South Africa is unsafe for tourists, while overlooking the numerous knifings and muggings which take place all too frequently in London and other major cities. The British couple had driven into Gugulethu, a township with one of the worst records of violence, late at night, thus blatantly disregarding the basic rules- avoid no-go areas, do not walk alone at night, and use licensed taxis where possible. Jon and Kathryn are now back in the UK, but last night Amanda, Barbara and I experienced the friendliness of this wonderful city, which had been so apparent during the recent football World Cup. 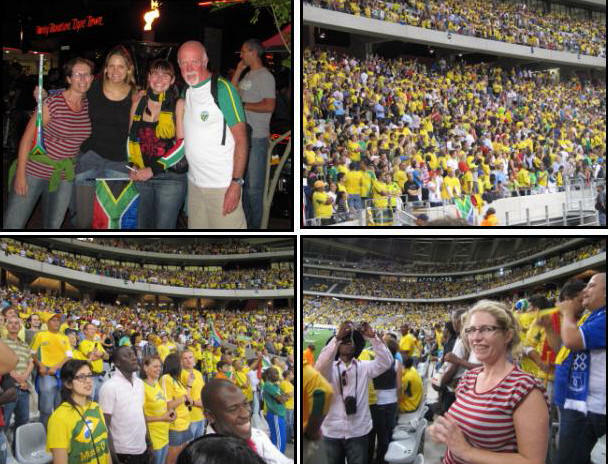 We walked the two and a half kilometre Fan Walk from the centre of the city to the impressive Green Point stadium to see South Africa (Bafana Bafana) lose 1-0 to USA. The capacity crowd, of all races, was good natured, and there was not a hint of the yobbish behaviour and violence that is often associated with football matches in Europe. So I reiterate the advice given last week. Don't be afraid of coming to South Africa. It is a stunningly beautiful country, with friendly people of all colours and creeds. Take common sense precautions and enjoy all that it has to offer. Never again! I have done today's hike 3 times, and each time we finish I say this. But this time-never again! 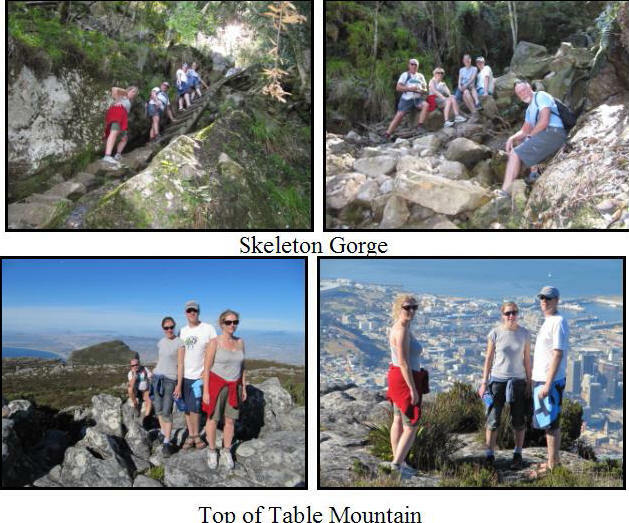 Jon, Kathryn, Amanda, Dean Eastbury and I started the hike at Constantia Nek, near Groot Constantia and walked through Newlands Forest to Skeleton Gorge above Kirstenbosch and the Vineyard Hotel. The scramble up Skeleton Gorge is steep and strenuous, but once on top of the mountain, the views towards Cape Point are fabulous, which made it (almost) worthwhile. The walk to the cable way was also hard, mainly due to the 32C temperature and lack of shade. After four and a half gruelling hours, the drinks in the cable way cafe were more than welcome. Although we are all experienced hikers, this is number 1 on my list of hardest walks, and Amanda's #2 (Kilimanjaro being number 1). After a week of conferences we are now relaxing at Noordhoek, south of Cape Town. Jon's girlfriend, Dr. Kathryn Hadler, arrived at the Vineyard on Friday evening. She has been working at the Mototolo Platinum Mine in Mpumulanga with other members of the Imperial College team, Dr. Chris Smith and Barry Shean, on air recovery test work. Other Imperial College staff, Dr. Katie Cole, and Saman Ilankoona have been working in Somerset West, using the Positron Emission Particle Tracking facility at the iThemba Laboratories. Katie is a post-doc, Saman a PhD student with MEI consultant Stephen Neethling, and Barry is Prof. Jan Cilliers' PhD student. 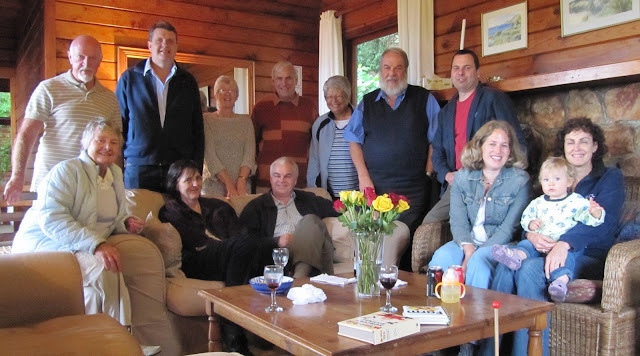 They all joined us, and Dean Eastbury, publishing manager at Elsevier, for a BBQ (braai) this afternoon. 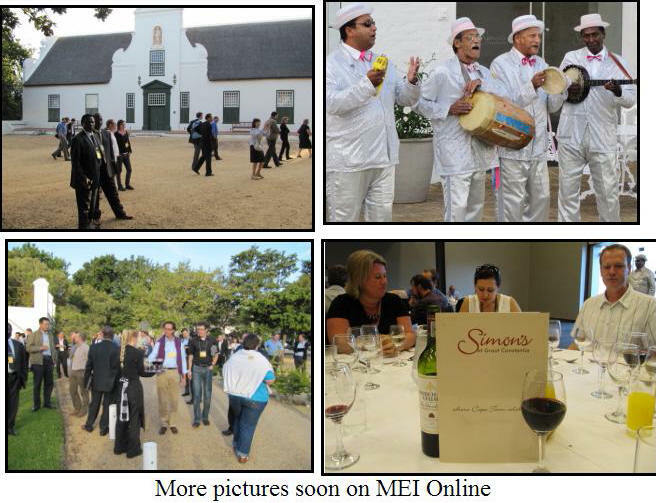 The smooth running of the MEI Conferences in Cape Town is due in no small way to the professionalism of the banqueting and audio-visual staff at the Vineyard Hotel. So a big thankyou to you all, and we look forward to seeing you again next November. 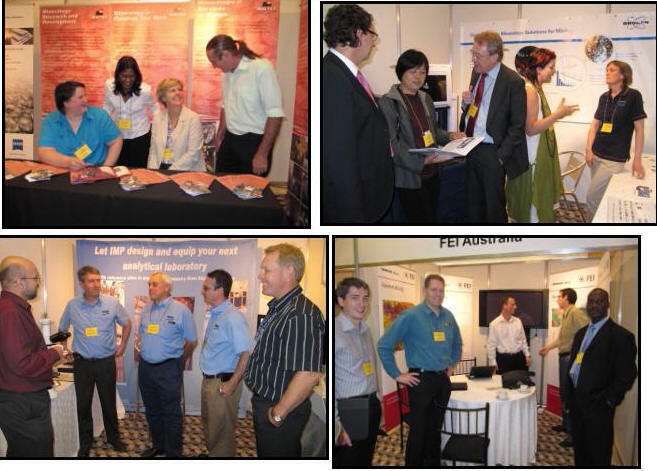 This is one of the smallest conferences that we have ever held, and only the second one-day event, the other being Magnetic and Electrical Separation in Perth, Australia in 2006. There were 20 delegates at that event, but only 19 at Zinc Processing '10. However, working on the assumption that small would be beautiful, we decided some time ago to proceed with the conference, and this morning Jon welcomed the delegates from Belgium, Canada, China, D.R. of Congo, Germany, Iran, Namibia, South Africa and UK. It turned out to be a bizarre day, the poor Iranian delegate arriving obviously very ill and unable to present his paper, and many of the other papers finishing well within their scheduled 30 minutes. The timetable changed continuously throughout the day, so that rather than finishing at the scheduled 5pm, the conference ended with a late lunch at 1345. All the papers in the timetable have been published in the Proceedings CD. The next Zinc Processing conference will be held in Falmouth in June 2012 following Biohydromet '12. One of the first papers this morning was by Dee Bradshaw, who showed how a small scale test for rapid characterisation of flotation response is being developed. It is known as the JKMSI (Mineral Separability Indicator). The device uses less than 10 g of material from narrowly sized fractions of the feed and the test can be completed in a few minutes. The results to date have demonstrated the success and potential value of this methodology, although further work is recommended to understand the constraints and limitations of the test with different ore types. It is unfortunate that the full paper is one of those not in the Proceedings CD, but hopefully it will be submitted to the special issue of Minerals Engineering. There was a focus on geometallurgy in this morning's papers and Clinton Smyth of GeoMet Tech, Canada, presented a good review. Geometallurgy is the study of the drivers for metallurgy that lie in the geology and the mineralogy of the rock. It is an emerging study that provides us with the tools to view mineral deposit exploitation more holistically and optimise economic return. Geometallurgy is practised by teams of collaborating geologists and metallurgists focussed on bringing metallurgical considerations to bear as early as possible in ore body evaluation, and geological considerations to be as integrated as possible into metallurgical flow sheet design and operation. This collaboration, particularly when it wishes to leverage on large digital collections of geological and metallurgical data, is forcing participants to critically evaluate, and in some cases revise, the language, teachings and models that they use in both disciplines. Two practical geometallurgy papers are in the Proceedings, one on Namakwa Sands by Philander and Rozendaal, of the University of Stellenbosch, the other by Bowell et al (UK) on the geometallurgy of uranium deposits. MEI's next conference is Sustainability through Resource Conservation and Recycling in Falmouth next May, and we hope to see many of the Process Mineralogy delegates at that meeting, as process mineralogy is likely to be an important tool in sustainable processing, as highlighted in a paper by Evans et al of JKMRC, Australia. Cathy Evans discussed how the observed behaviours of mineral particles in mineral processing operations have been exploited in the past to model comminution and concentration processes. In their work this concept has been taken a step further, exploiting the mineralogical characteristics of particles to link comminution, concentration and smelting. This approach has been demonstrated using a laboratory-based case study of a Ni-Cu sulphide ore. The case study focused on the effect of shifting energy between the comminution and smelting stages on the overall energy consumption for the metal production process. To model this effect the mineral composition of the particles was linked to the behaviour of the ore particles in the primary grinding, regrinding and flotation stages. This application of process mineralogy provides a methodology to minimise energy use across mineral concentration and smelting processes, an important aspect of sustainable processing. Megan Becker and Amanda closed the conference at 4pm and announced that the next Process Mineralogy conference will be at the Vineyard again from November 6-8, 2012. Back to work with a vengeance today, with 18 papers presented, starting with the 2nd keynote, delivered by Dr. Norm Lotter, of Xstrata Process Support, Canada, and this year's CIM Distinguished Lecturer. Following on from Robert Schouwstra's keynote of yesterday, Norm discussed how several related disciplines have integrated over the last twenty five years into the modern hybrid of Process Mineralogy to produce a new level of capability in flowsheeting for concentrator design and retrofit for optimal performance. These are: sampling and statistics, geology, mineralogy, and mineral processing. As new mine projects that either replace worked-out tonnages of older mines for current operations, or new mine projects that consider first-time start-up, the question of viability is challenged evermore by lower-grade, and more complex, orebodies to be treated. 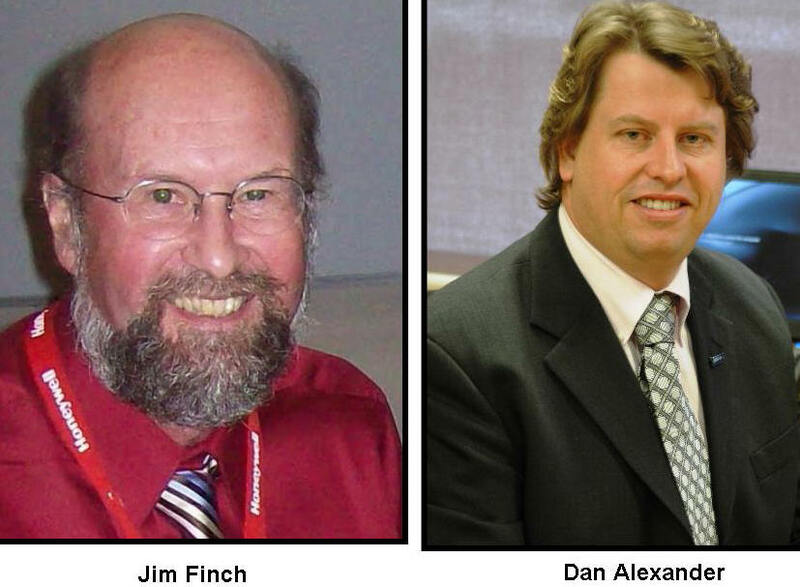 The modern hybrid Process Mineralogy is capable of producing flowsheeting solutions that add to paymetal recovery and concentrate quality, bringing significant value to these projects and – in some cases – turning unviable projects into viable. Dr. Lotter reviewed how these associated disciplines work together to synergise the project work. Norm is one of 3 MEI consultants at the conference. 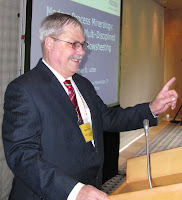 He advises us on the Nickel Processing series, the next conference scheduled for Cape Town in November 2012. 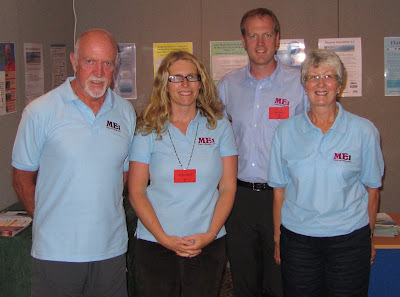 Prof. Dee Bradshaw, of Australia's JKMRC, is presenting work here, and is one of out Flotation series consultants. 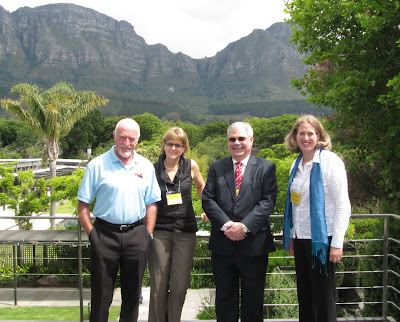 Dr. Megan Becker has agreed to consult on the next Process Mineralogy conference, in Cape Town again in November 2012. After a hard day's conferencing, tonight's dinner was an opportunity to relax and get to know each other. Groot Constantia, under Table Mountain is South Africa's oldest wine estate, and only a short drive from the Vineyard Hotel. Thankfully it was a beautiful warm evening, which gave us the opportunity to walk slowly past the old manor house to the dinner venue, where we were entertained during pre drinks and starters by the Cape Minstrel Quartet. I was a little disappointed with the function room, which was a little soulless, but the food and wine provided suitable compensation. We would be interested to know what thoughts the delegates might have on the evening. I opened the conference this morning and welcomed our 100 delegates, representing Australia, Belgium, Brazil, Canada, D.R. of Congo, Finland, France, Germany, India, Kazakstan, Mongolia, Netherlands, Russia, South Africa, Sweden, UK, USA. 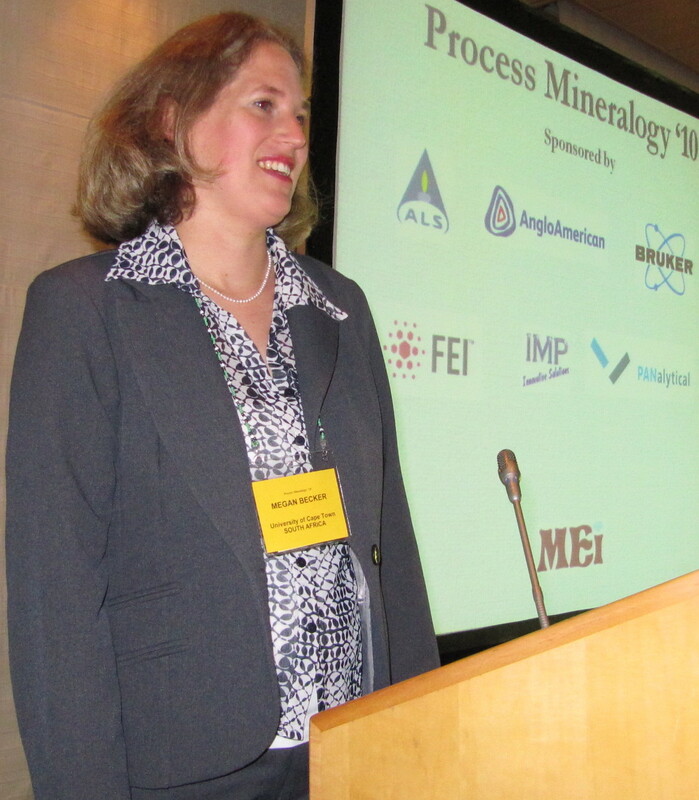 I thanked our sponsors, Bruker, FEI, IMP, ALS, PANalytical and AngloAmerican for their confidence in this inaugural event, a measure of how important mineralogy is in the processing of modern orebodies. We have a fine technical programme ahead of us, with 50 papers due for presentation, but I expressed disappointment that many of the presenters had, despite many reminders, failed to submit their draft papers for the Proceedings, only 24 papers having been received by the final deadline. 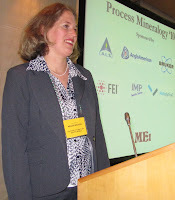 Our consultant, Dr. Megan Becker, of the University of Cape Town, then said a few words, noting that this conference followed the previous MEI conferences on Automated Mineralogy which were held in Brisbane, the major change being that the two major automated mineralogy machines are now manufactured by a single company, FEI. Megan then introduced our first keynote speaker, Dr. Robert Schouwstra, of Anglo Research, South Africa, who discussed developments in mineralogical techniques, and how they have impacted on the tasks of mineralogists. Robert noted that there are no formal courses in applied mineralogy in South African Universities, most of the mineralogists being geologists who have little knowledge or experience of metallurgical processes. The important point is that mineralogy is not just about identifying minerals, but also a knowledge of how these minerals will behave in a process, dependent on dissemination, associations, etc. Today it has been very hot and clear, so we are all looking forward to tonight's dinner at Groot Constantia. More on that tomorrow. A full turnout again this morning, which speaks volumes for the quality of the papers in the programme. Sue Harrison and Amanda closed the conference at 1615 and the delegates then joined the Process Mineralogy '10 group for their wine reception. In her closing address, Sue highlighted the feedback from delegates, that this has been a very enjoyable event, with a good mixture of papers on fundamentals and applications and notable that all sessions had a full turnout, with all presenters keeping to their allotted times. Amanda closed the conference by thanking the chairmen, authors, and our sponsor, Gold Fields, and then announced that Biohydromet '12 would be held in June 2012 in Falmouth, Cornwall. A cool and cloudy morning. Jon opened the conference, thanking our sponsor, Gold Fields, and welcoming the 57 delegates from Australia, Belgium, Brazil, Canada, Democratic Republic of Congo, Egypt, Finland, France, Germany, Iran, Kazakstan, South Africa, South Korea, Turkey and UK. He then introduced our consultant, Prof. Sue Harrison, of University of Cape Town, who stressed the growing significance of Biohydrometallurgy, in terms of sustainability, remediation, and conservation of energy and water resources. She also noted the truly international nature of the conference, with 15 countries represented, and many of the papers having co-authors from more than one country. Copper, nickel and uranium dominate the conference, but there are also papers on gold, zinc, chromium, strontium and hafnium. The full programme can be viewed here. After a full day of 14 oral presentations, and poster displays, the general opinion was that this had been a fine start to the conference, and we look forward to tomorrow's 15 presentations. I invite delegates to add their own comments to the blog, as we would like to have your opinions on the proceedings. The MEI team met up for breakfast at the Vineyard Hotel, Cape Town, this morning. 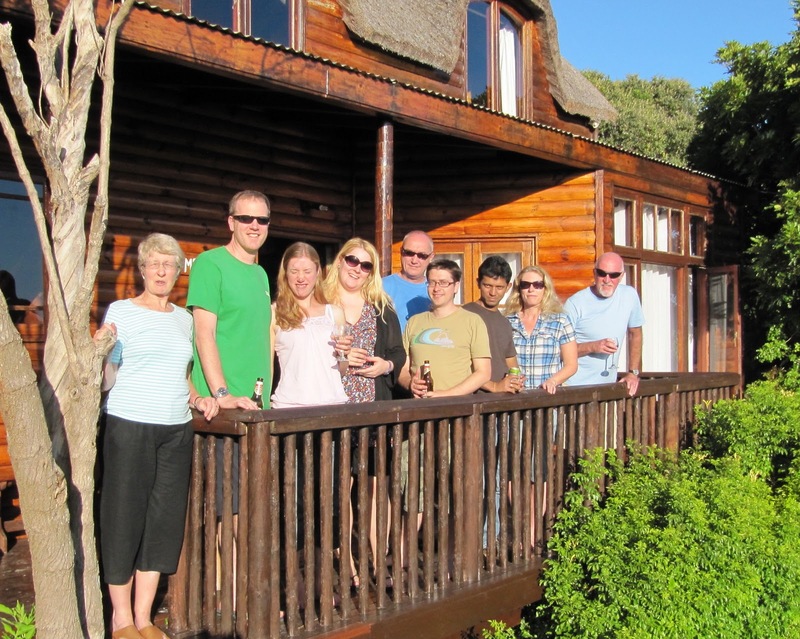 Barbara and I had arrived yesterday at midday via the BA flight from Heathrow, Jon and Amanda late evening by Emirates, having missed their connecting flight in Dubai, and then arriving, via Johannesburg, without luggage! A few of the conference delegates have arrived early, including Dean Eastbury, publishing manager for Minerals Engineering, and this morning I met Rory Cameron from University of Ottawa, who will be presenting the first paper at Biohydromet '10. 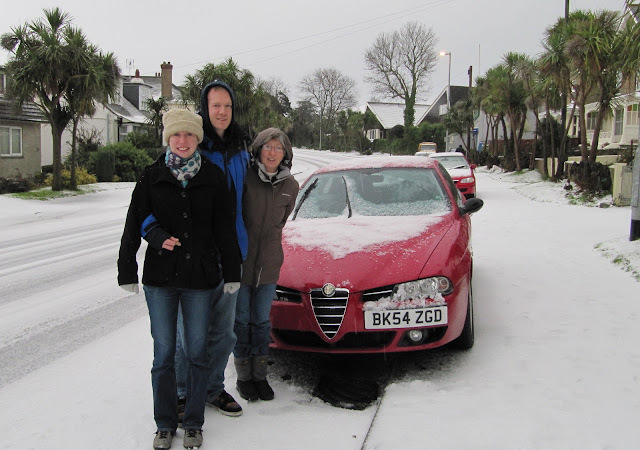 Jon bumped into John Webster and his wife Renata, also all the way from Cornwall. In the evening we were the guests of Elsevier, with Dean Eastbury, at the excellent Karibu Restaurant at the Waterfront. Hot and sunny! Luggage eventually arrived at 2.30pm just in time to prepare for wine reception for Biohydromet '10 at 4pm. 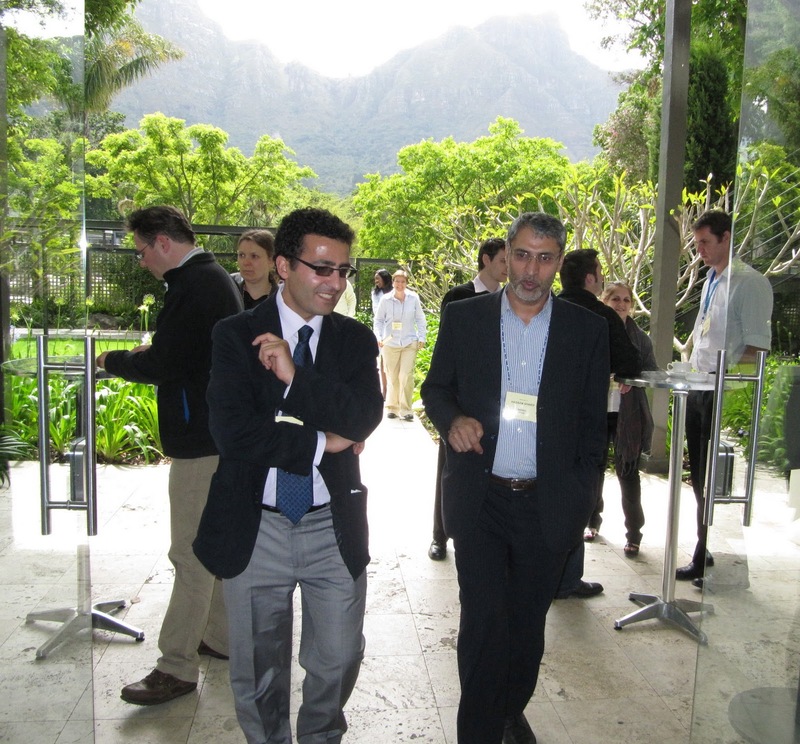 Over half of the registered delegates were at the wine reception, where old and new acquaintances were made as the sun set behind Table Mountain. Even at this stage Sue Harrison and I were discussing the possibility of running Biohydromet '12 over three days in Falmouth in two years time. 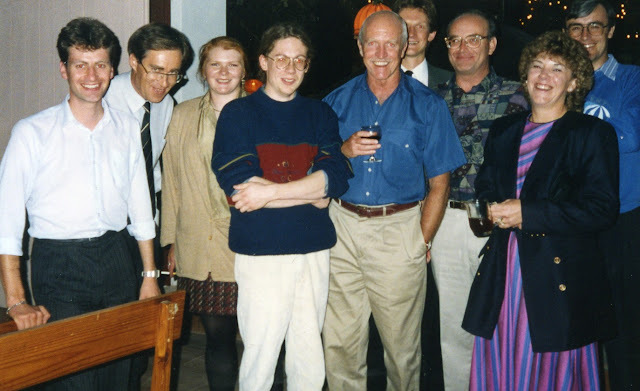 Sue's colleague at UCT, Jochen Petersen, the new co-editor of Hydrometallurgy, was obviously bonding well with Dean Eastbury, his publishing manager at Elsevier. How sustainable is the minerals industry? A reminder that, if you would like to present a paper at Sustainability through Mineral Resource Conservation & Recycling '11 (SRCR '11) in Falmouth, Cornwall next May, then short abstracts should be submitted no later than the end of this month (November). The full scope of the conference, which is being sponsored by Outotec, can be found here. The conference barbecue will be held in the Mediterranean biome of Cornwall's famous Eden Project. Risk-based approaches to major decisions (Risk'11) immediately follows SRCR '11 at the same venue. 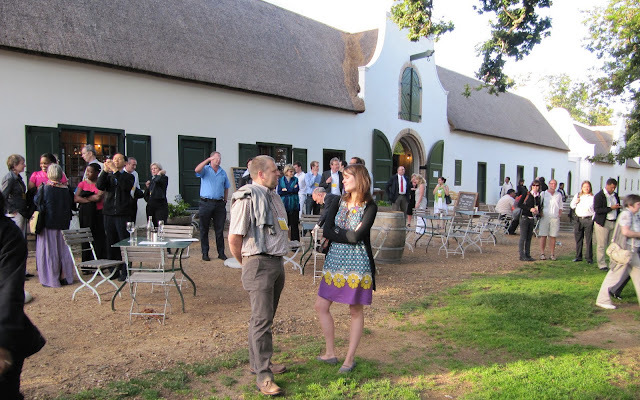 Two weeks today is the conference dinner for Process Mineralogy '10 at Groot Constantia, South Africa's oldest wine estate. Seventeen years ago we held the first, of what was to become many, conferences in Cape Town. 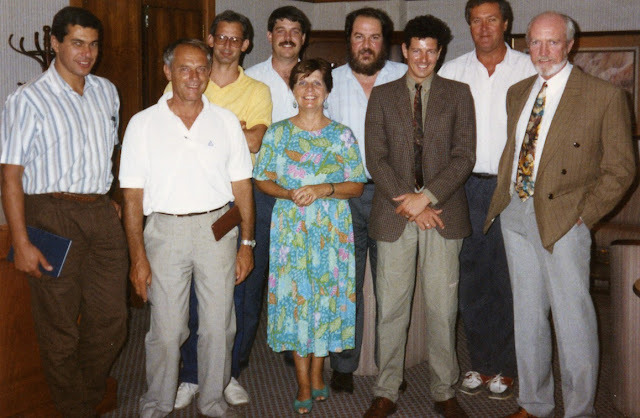 Minerals Engineering '93 was held at the Cape Sun Hotel, in collaboration with the Universities of Cape Town and Stellenbosch, and the Western Cape Branch of the South African IMM, and the conference dinner was held at Groot Constantia. 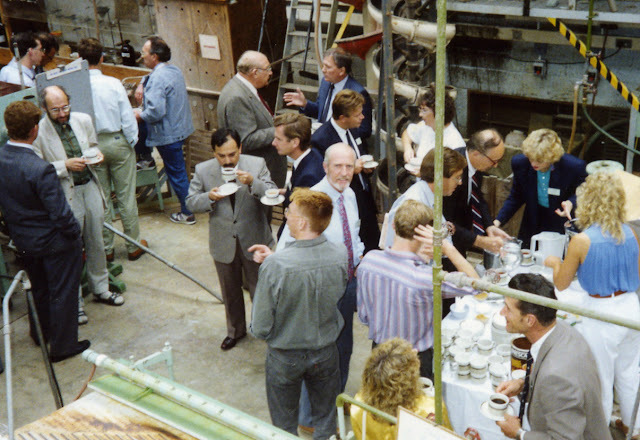 Cyril O'Connor, in his opening remarks, noted that this was the first international mineral processing conference to be held in South Africa for many years- how things have changed! Over 140 delegates attended the conference, many from overseas, and Cyril extended a special word of welcome to them and showed his appreciation of their attendance at a time when the country was going through the birth pangs of an emerging democracy. Since then many of the delegates present have been regular attendees at conferences in Cape Town and in Falmouth. ﻿ We were very fortunate in having the late Prof. Peter King deliver the keynote lecture on reducing energy in comminution. The minerals industry was really becoming aware of environmental aspects and sustainability around that time, and the last day of the conference included a parallel session for those interested in environmental issues. The Proceedings of the conference, which includes the delegate list, is available on ScienceDirect as Volume 7 Nos. 2/3 and Volume 7 nos. 5/6, 1994 of Minerals Engineering. 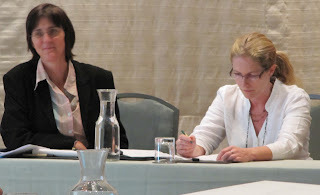 The keynote lectures are now confirmed for Flotation '11, which will be held in Cape Town in November of next year. 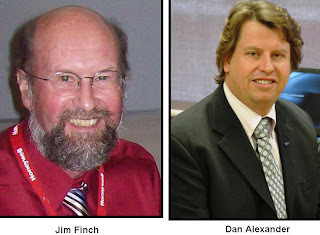 Prof. Jim Finch, of McGill University, Canada, will present "Bubbles, frother and flotation" in the Fundamentals Session, while Dr. Dan Alexander, CEO of JKTech Pty Ltd, Australia, will present "When are flotation models useful?" in the Applications Session. Xstrata Technology also agreed today to sponsor the conference, joining the other 7 sponsors of this important event. The giant Finnish mining company Outotec is to provide corporate sponsorship for next year’s Sustainability through Mineral Resource Conservation & Recycling (SRCR ’11) conference in Falmouth, UK. Even at this early stage a quality programme is developing, with keynote lectures from Prof. Jan Cilliers of Imperial College, UK, and Dr. Terry Norgate of Australia’s CSIRO. A highlight of this event, deep in beautiful Cornwall, will be the conference barbecue at the famous Eden Project. If you would like to present a paper, the deadline for abstracts is the end of November.